Ultima Networks offer Web Hosting, Domain Registration, Server Collocation, Virtual Private Servers and other consulting services. If you sign up for two years of domain registration, you'll get an additional year free! That's three years for the price of two! [More Info]. We can offer SSL Certificates to clients who need to transact business securely over the Web. Please inquire about available offerings. 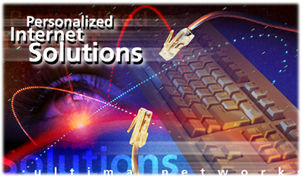 Ultima Networks is proud to bring its dial-up customers free web based email! Go to http://mail.ultimanet.com/ to check your email from your web browser.